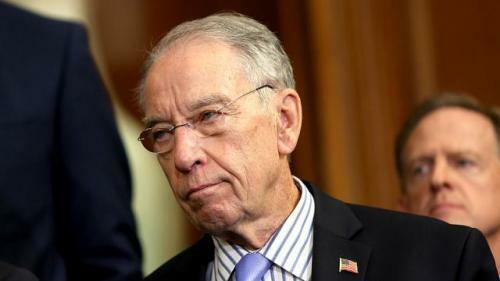 Recall in May, Senate Judiciary Committee Chairman Chuck Grassley (R-IA) fired off a letter to the Department of Justice demanding unredacted versions of text messages between FBI agent Peter Strzok and former bureau attorney Lisa Page, including one exchange which took place after Strzok had returned from London as part of the recently launched "Operation Crossfire Hurricane" referring to the White House "running" an unknown investigation. Strzok had been in London to interview Australian ambassador Alexander Downer about a drunken conversation with Trump campaign aide George Papadopoulos, who - after reportedly being fed information - mentioned Russia having Hillary Clinton's emails. And with Clapper's admission - it looks like Strzok's text stating "the White House is running this" may have been right on the money. Update: Meanwhile, House Judiciary Chair Bob Goodlatte (R-VA) told Fox's Maria Bartiromo that the American public needs to see an unredacted version of the Carter Page FISA application.